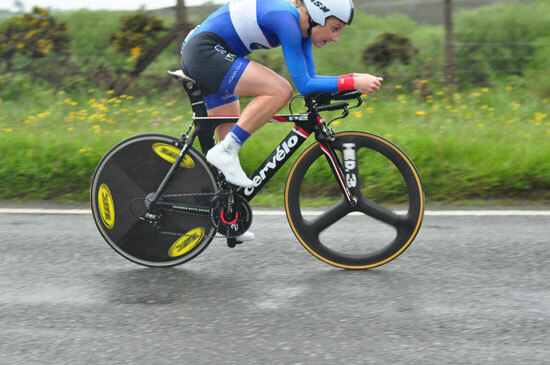 Omagh Wheelers Cycling club kicked off the National Championships with a super time trial tonight on the rolling roads around Omagh. 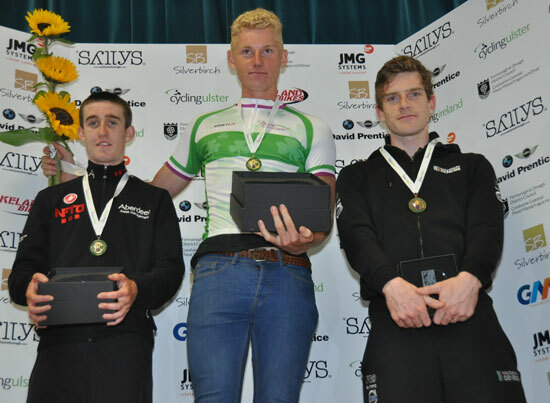 Ryan Mullen (An Post Chain Reaction) repeated his win of last year in the Elite and Under 23 category with a time of 47 minutes 46 seconds for the 23 mile loop. The silver medal went to Cork teenager Eddie Dunbar (48:11) who now riders for the UK based Pro team NFTO. 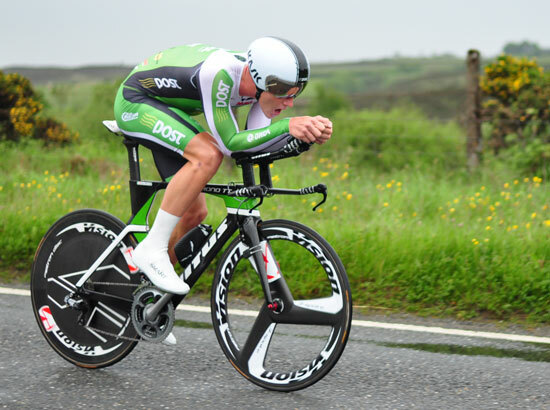 Ulster man Martyn Irvine (Madison Genises) was third fastest with a time of 48 minutes 57 seconds. 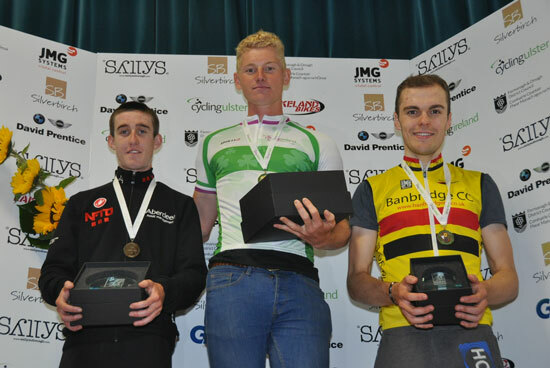 Banbridge rider Mark Downey took bronze medal in the Under 23 category behind Mullen and Dunbar. 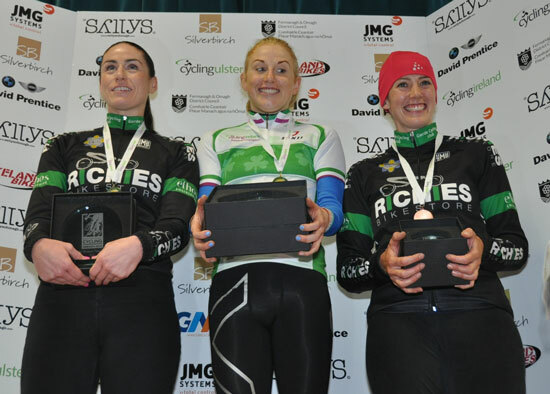 Siobhan Horgan (Team Aqua Blue) was a dominant winner of the Elite womens race in 53:28. Eve McCrystal (Garda CC) was second 2 minutes 15 seconds down and her team mate Caroline Ryan was third. 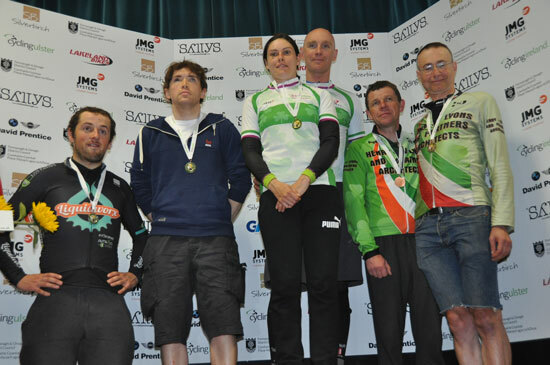 Eileen Burns (Ballymena RC) was best of the Ulster riders in 6th place. 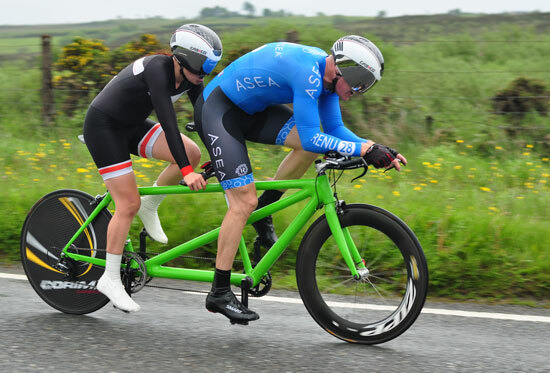 Neil Delahaye and Katie George Dunlevy (Team Asea) won gold in the Tandem race from Martin Gordon (Unattached, Leinster) and Patrick Clarke (Fitscience – Liquid workx. Bronze medal winners were Oriol Carbo and Kazik Jankowsky (Henry J. Lyons and partners). 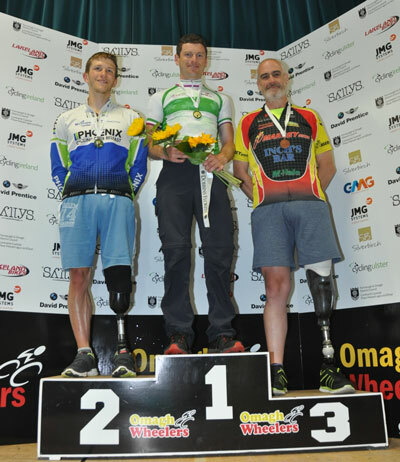 Eoghan Clifford (Galway Bay) won the Paracycling (H1-H5) race which was held on an out and back 18 mile course. 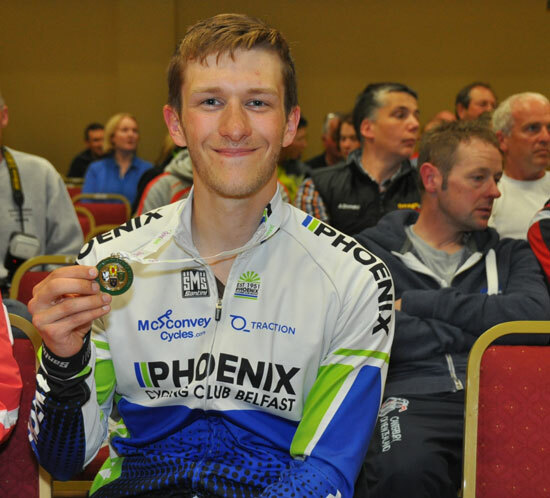 Eoghan recorded 37 minutes 20 seconds which was almost 3 minutes faster than Andrew Nicholson (Phoenix CC) who was delighted with silver in his first National Championship. Terry Towey (Western Lakes) was third and Ulster man Chris Burns (Banbridge) was fourth. 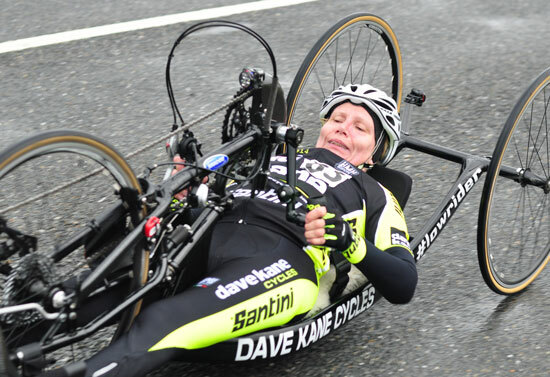 Deborah Barclay (Northern CC/Dave Kane Cycles) was just 3 seconds shy of winning the bronze medal in the hand cycling category. 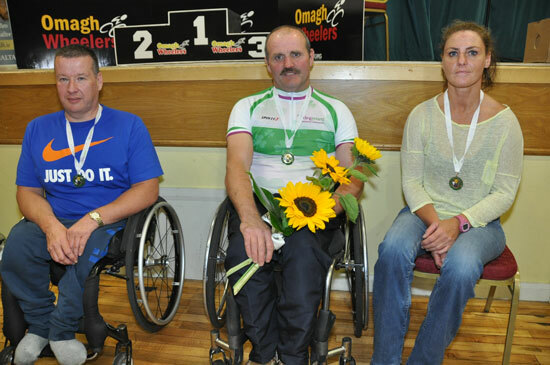 The hand cycling race was won by Declan Slevin (Rosemount CC) from Seamus Walls and Fiona McCormack (Leinster) in third. The Omagh club have a very busy weekend ahead with masters and women's races on Saturday and the Elite and Under 23 on Sunday.